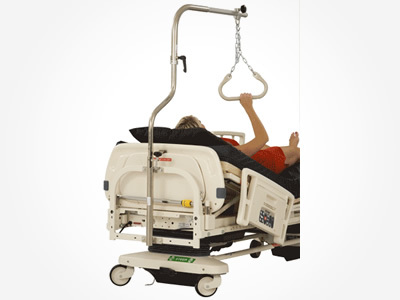 The Mizuho OSI Patient Helper requires an adapter bracket from Stryker Medical, P/N 3001-333-000 for the Secure II and 3006-333-000 for the S3. Patient Helper Sleeve P/N 3423-1 is included with 3423. 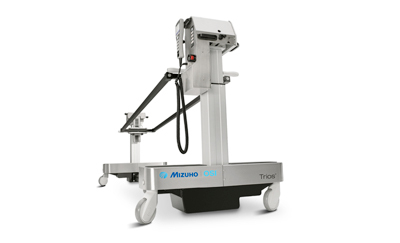 Q: What do I need to attach a Mizuho OSI Patient Helper to my Stryker Secure II or S3? Stryker Bracket 3001-333-000 for the Secure II or 3006-333-000 for the S3. Adapter Sleeve. The Adapter Sleeve is provided standard with Mizuho OSI Patient Helper P/N 3423. The Adapter Sleeve may also be purchased separately from Mizuho OSI using P/N 3423-1.